Full Service Mailing Tools in the Cloud. 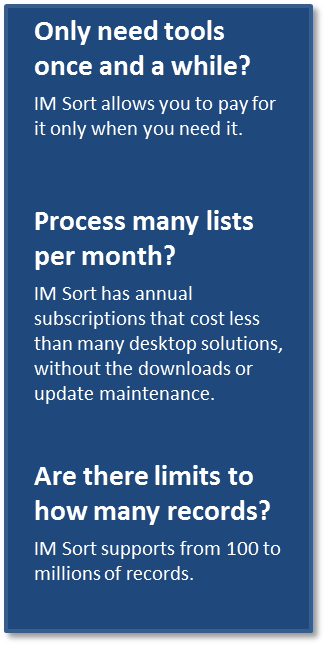 IM Sort™ is a Safe and Secure provider of CASS™, NCOALink, and USPS® PAVE (Gold) Certified Presort processing via the internet. Produces all required USPS® Mailing paperwork! All contents Copyright © 2016 TEC Mailing Solutions, LLC. All rights reserved.